﻿ China Educational Tour Itinerary for Students and Teachers. As one of the largest tourism company CITS brand, China Culture Tour is able to offer different kinds of tours for teachers and students from overseas. 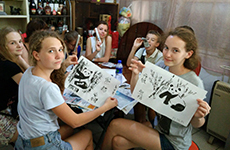 We have special offers for teachers and senior high or college students, and special tour arranged for you such as school visit, school communicates, some Chinese course, team up, etc in the schools. If you are the leader of the teacher or student group, we are able to offer you Free to travel! So keep it in mind that you can tailor your tour according the interests of your group of students! Your group might be interested in photography, soft adventure, communications, charity, etc and we can make it came true for you. "Dear Grace, firstly i would like to thank you for the amazing tour my clients had this summer! They were really happy about everything ! We received many happy calls from our clients! This year we have already started negotiating with the same school about the trip to china. Have a wonderful day! Kind regards, Malika Svja from an Educational agent in Russia"
"Hi Grace, Thank you for the trip arrangements! The first night at Salvo hotel was ok, but the Garden hotel in Suzhou is great. Our travel agent, Wang Ting is very friendly and helpful. We like her! Sara from Oregon Episcopal School in the United States"
Beijing (2-6 nights): Hiking on the less touched Great Wall, stay at the foot of the Great Wall | Explore the villages nearby the Great Wall | Forbidden City | Summer Palace and the Dragon Boat Cruise | Confucius Temple and Directorate of Imperial Academy | Chinese language class | School visit and communication | Hutong Rickshaw or biking tour | Dumpling/Jiao Zi making in a Hutong family. Luoyang (1-3 nights): Visit the Shaolin Temple | Hiking in the Songshan Mountain | Watch a Kung Fu Performance | 2 hours basic Chinese Kung Fu learning in a martial arts school and communicate with the students | Visit the UNESCO world heritage site Longmen Grottoes | Learn paper-cutting for window decoration | Visit the Luoyang Old Streets | Learn body massage skills in a massage institution. Xian (1-2 nights): Visit the UNESCO World Heritage site Museum of Terra-Cotta Worries | Local school visit and communication | Fuping Ceramic Village and clay figure making | Huxian Peasant Painting in the village | Strolling or biking on the ancient city wall | Forest of Stone Steles Museum and Calligraphy class | Chinese noodle and dumpling making and dinner | Shadow play watching and shadow figures making | Climbing the breathtaking Hua Mountain through the thrilling cliff path | Bargain around the Muslim Street. Chengdu (1-3 nights): Full day of panda volunteer experience | climb up to the top of the Big Buddha in Leshan | excursions in China‘s Buddhist and Taoist shrine Emei Mountain | experience the local life by playing mahjong | drinking tea, having lunch at a farmer’s house | Sichuan's famous spicy hotpot | watch Sichuan opera and face changing. Guilin/Yangshuo/Longji Terraced Fields (3-5 nights): Li River hiking | Language school visit and communicate | Biking Bamboo rafting and rock climbing in Yangshuo | Kayaking on a peaceful and crystal tributary of the Li River | Farm villages visiting | Chinese Kung Fu learning | Hiking through the ethnic villages in the terraced fiddles in Longji and visit a local school | Seasonal farm work experience and learn about where the food comes from | Impression of the Sister Liu. Tips: You are not limited to the tour routes or activities mentioned above, you can customize your China educational tour flexibly by adding any activities or cities based on your groups' requests. 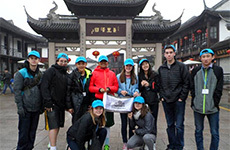 Tailor-make a China Educational Tour for Your Students!